Order your favourite Mexican food from a Zambrero restaurant near you. Free Delivery*. No Minimum Spend. Get Zambrero delivered to your door! Forget what you know about Mexican food, Zambrero offers a new twist on the traditional recipes. With a focus on modern, fresh ingredients, Zambrero takes the Mexican favourites you love, creating a menu of freshly-prepared meals that features classics and new hits. Zambrero’s unique menu also has a Power Range, for those needing some extra oomph, and an IQ Range, which is packed with brain-boosting superfood ingredients. If you feel like munching down on any classic Mexican meals such as burritos, nachos, quesadillas and tacos, Zambrero can fulfil your craving. But it’s not just about making healthy Mexican food available to Aussies - Zambrero is Mexican with a mission. They serve good food that does good and this is done through their Plate 4 Plate initiative. For every burrito or bowl (all the goodness of a burrito without the tortilla) purchased at Zambrero, a meal is donated to someone in need in the developing world. 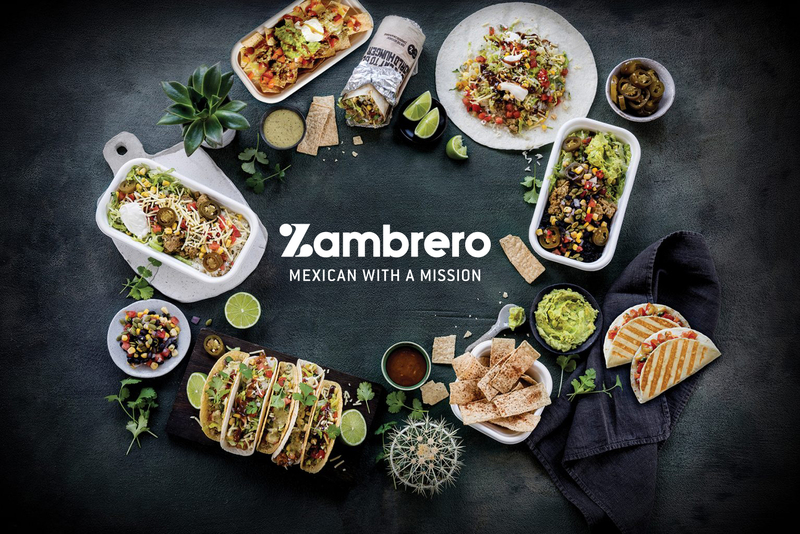 Similarly, for every product purchased from Zambrero’s retail range, a meal is donated to someone in an underprivileged Australian community. Menulog delivers your favourite food, fast! Create your own Mexican fresh-fiesta at home with the help of Zambrero and Menulog! If it’s for a party of one or catering for huge gathering, simply order through Menulog and, before you know it, your tastebuds will be dancing with the zesty, spicy flavours of Mexico. Order using the Menulog app or desktop, and your Zambrero meals will be speeding your way.